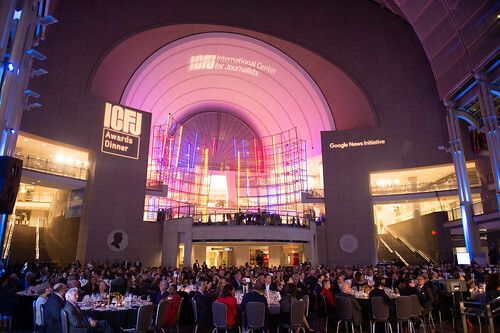 At the ICFJ Awards Dinner, we highlighted the tremendous impact of intrepid journalists at this ominous moment. The honorees found innovative ways to keep information flowing in these hard times and shed light on important global issues – from corruption to modern-day slavery. Above all, they delivered a consistent message: Journalists need to stand together at a time of unsettling threats and clampdowns on a free press. Read the highlights. Check out some highlights from previous Awards Dinners.